Flexible circuits (also variously referred to around the globe as flex circuits, flexible printed circuit boards, flex print, flexi-circuits) are members of electronic and interconnection family. They consist of a thin insulating polymer film having conductive circuit patterns affixed thereto and typically supplied with a thin polymer coating to protect the conductor circuits. The technology has been used for interconnecting electronic devices since the 1950s in one form or another. It is now one of the most important interconnection technologies in use for the manufacture of many of today's most advanced electronic products. 1.Wiring solutions that fit where rigid boards cannot. 2.Thin, lightweight products that are nonetheless durable. 3.Miniaturized versions of existing technologies. 5.A low number of device interconnects. These benefits point to flexible circuitry options as an ideal solution for mobile consumer electronics. Enterprising circuit board amateurs who take apart their smart phones or laptop computers will find a wealth of flexible circuitry inside any modern device on the market. In the case of mobile devices, the use of rigid circuitry would result in a device too large, too heavy, and too fragile to conveniently carry around. This was the case with the Osborne I, the first fully powered mobile computer, which weighed in at an intimidating 24.5 pounds. Size and weight reduction represent only one half of the flexible circuit story, however. They are also ideal for high temperature and high-density applications. In many cases, flex circuits are made of polyimide or a similar polymer. This material dissipates heat better than most rigid circuit board materials. For this reason, flexible circuits can be placed in inconvenient locations where heat would impact the performance of a rigid circuit board. Flexible circuit boards can be designed to withstand extreme temperatures – between -200° C and 400° C – which explains why they are so desirable for borehole measurements in the oil and gas industry. In fact, because of these conditions, and the need for small, unobtrusive devices in most industrial environments, flexible circuits represent the first choice for engineering design in most industrial sensor technologies. High temperature resistance comes usually comes with good chemical resistance and excellent resistance to radiation and UV exposure as well. Combined with the ability to control impedances in high density circuit board designs, flexible circuit designs offer many benefits to manufacturers. Why Not Make All Circuit Boards Flexible? Flexible circuit boards are certainly useful, but they are not going to replace rigid circuit boards for all applications. 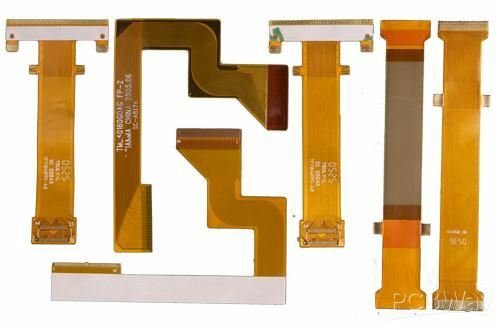 Cost efficiency is the main obstacle to implementing an exclusively flexible circuit board design in a consumer product. Rigid circuit boards are less expensive to manufacture and install in a typical automated high-volume fabricating facility. Typically, the ideal solution for an innovative product is one that incorporates flexible circuitry when necessary, and employs solid, reliable rigid circuit boards where possible to keep manufacturing and assembly costs down. Some manufacturers even use hybrid rigid-flex printed circuit boards expressly for this purpose. This is common in laptop computers and medical devices, where rigid circuit boards can be connected to one other using ribbon-like flexible circuits. These boards can be compounded and designed to meet any number of engineering needs by focusing on the respective strengths of each circuit board base technology. PCBWay creates both flexible and printed circuit boards for product manufacturers. Enjoy a consultation with one of our sales reps to find out if your product prototype design is best served by flexible or rigid circuit board types. Please go to homepage of Cotización instantánea menu to quote; please contact us for more information about metal core pcbs.